(2004) Dionysis Rigopoulos, et al. The Sparta Institute, Directed by Dionysis Rigopoulos, was a planned cooperative project between the STUDIO and the Community of Sparta in Greece. The project’s mission was to explore, through the interactions of art, architecture and contemporary technology, the relationship of the natural environment to the human impulse to design and build. Artists, architects, and other creative practitioners from Carnegie Mellon, Greece, and throughout the world will be invited to carry out projects. Initially, the projects will take place during the summer because of the relatively high availability of expert personnel during this period. Once the site has been developed architecturally, the institute will operate year round. The Sparta Institute was initiated for students to develop an awareness of context (environmental, geological, social, cultural, historical) through creative work. The emphasis is on direct experience of context, collaboration and process. The Sparta Institute was developed through the Sunbridge project and carried on for CMU’s BHA and BSA program as an intermittent summer school. to connect Sparta, Greece to CMU and link the pastoral culture of Sparta with the urban, high-technology culture of CMU. 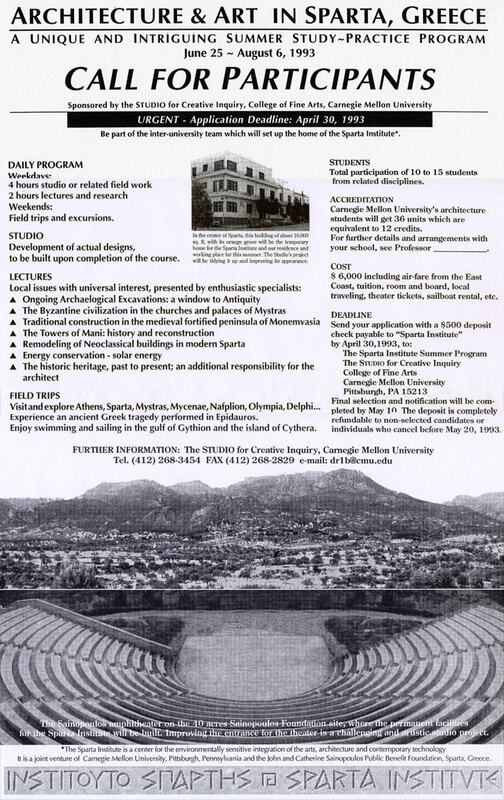 From June 12 to 26 2004, 11 CMU undergraduate students visited Sparta. The course was composed of three parts: a spring mini-course, the summer study-abroad trip and final presentations scheduled for the fall semester. Other participants included Lowry Burgess, professor of art, and Dionysis Rigopoulos, a Carnegie Mellon alumnus. 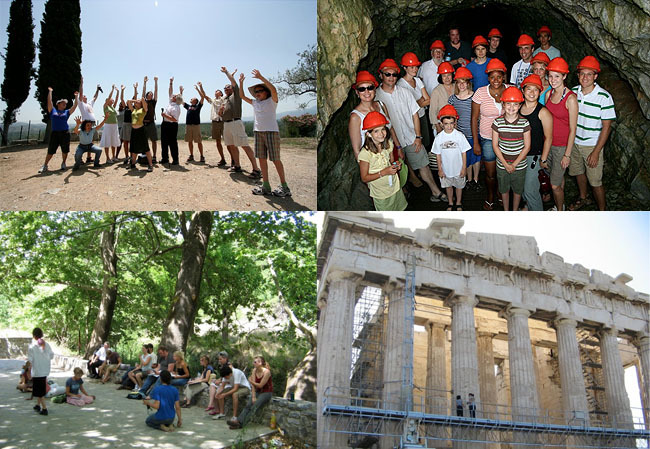 All students who participated in this program were required to select a topic to explore while in Greece. Student activity included writing assignments that reflect the excursions and experiences, to research and produce a self-defined final synthesis project, and a trip to Sparta and historical sites where cmu people meet locals. The Sparta Institute was supported by the Greek Orthodox Diocese of Pittsburgh.